The Alan Parsons Project was a British progressive rock band active between 1975 and 1990, founded by Eric Woolfson and Alan Parsons. Immensely popular in North America and Continental Europe, they had little success by comparison in their home country. Alan Parsons met Eric Woolfson in the canteen of Abbey Road Studios in the summer of 1974. Parsons already acted as assistant engineer on The Beatles’ Abbey Road and Let It Be, had recently engineered Pink Floyd’s Dark Side of the Moon, and produced several acts for EMI Records. Woolfson, a songwriter and composer, was working as a session pianist; he also composed material for a concept album idea based on the work of Edgar Allan Poe. Parsons asked Woolfson to become his manager and Woolfson managed Parsons’ career as a producer and engineer through a string of successes including Pilot, Steve Harley, Cockney Rebel, John Miles, Al Stewart, Ambrosia and The Hollies. Parsons commented at the time that he felt frustrated in having to accommodate the views of some of the artists, which he felt interfered with his production. Woolfson came up with the idea of making an album based on developments in the film business, where directors such as Alfred Hitchcock and Stanley Kubrick were the focal point of the film’s promotion, rather than individual film stars. If the film business was becoming a director’s medium, Woolfson felt the music business might well become a producer’s medium. Recalling his earlier Edgar Allan Poe material, Woolfson saw a way to combine his and Parsons’ respective talents. Parsons would produce and engineer songs written by the two, and the Alan Parsons Project was born. Their first album, Tales of Mystery and Imagination, including major contributions by all members of Pilot, was a success. The song “The Raven” features lead vocals by actor Leonard Whiting, and, according to the 2007 remastered album linear notes, was the first rock song ever to utilise a digital vocoder, with Alan Parsons speaking lyrics through it. Arista Records subsequently signed The Alan Parsons Project for further albums. 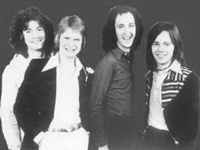 Through the late 1970s and early 1980s, the group’s popularity continued to grow, with singles such as “I Wouldn’t Want to Be Like You”, “Games People Play,” “Time” (Woolfson’s first lead vocal), and “Eye in the Sky”, making an impact on the pop charts. After the #3 success of the latter in the US, however, the group began to fade from view. There were fewer hit singles, and declining album sales. 1987′s Gaudi would be the Project’s last release, though they did not know it at the time, and planned to record an album called Freudiana next. Although the studio version of Freudiana was produced by Alan Parsons (and featured the regular Project backing musicians, making it an ‘unofficial’ Project album), it was primarily Eric Woolfson’s idea to turn it into a musical. This eventually led to a rift between the two artists. While Alan Parsons pursued his own solo career and took many members of the Project on the road for the first time in a successful worldwide tour, Eric Woolfson went on to produce musical plays influenced by the Project’s music. Freudiana, Gaudi and Gambler were three musicals that included some Project songs like “Eye in the Sky”, “Time”, “Inside Looking Out,” and “Limelight.” The live music from Gambler was only distributed at the performance site (in Moenchengladbach, Germany). In 1981, Parsons/Woolfson and their record company Arista were stalled in contract renegotiations when on March 5th the two submitted an all-instrumental atonal album tentatively titled “The Sicilian Defence” (the name of an aggressive opening move in chess), arguably to get out of their contract. Arista’s refusal to release said album had two known effects: the negotiations led to a renewed contract and the album has remained unreleased to this day. However, in recent interviews, Woolfson announced he is considering releasing one track from the never-released “Sicilian” album as a bonus track on a future Parsons Project CD re-issue. Parsons released titles under his name (Try Anything Once, On Air, The Time Machine, and A Valid Path), while Woolfson made concept albums named Freudiana (about Sigmund Freud’s work on psychology) and Poe – More Tales of Mystery and Imagination (continuing from the Alan Parsons Project’s first album about Edgar Allan Poe’s literature). Tales of Mystery and Imagination was first remixed in 1987 for release on CD and included narration by Orson Welles which had been recorded in 1975 but arrived too late to be included on the original album. On the 2007 Deluxe Edition release, it is revealed that parts of this tape were used for the 1976 Griffith Park Planetarium launch of the original album, the 1987 remix, and various radio spots, all of which are included as bonus material. Most of the Project’s titles, especially the early work, share common traits (likely influenced by Pink Floyd’s Dark Side of the Moon, on which Parsons was the audio engineer in 1973). They were concept albums, and typically began with an instrumental introduction which faded into the first song, often had an instrumental piece in the middle of the second LP side, and concluded with a quiet, melancholic, or powerful song. The opening instrumental was largely done away with by 1980; no later Project album except Eye in the Sky featured one (although every album includes at least one instrumental somewhere in the running order). The instrumental on that album, “Sirius,” eventually became the best-known (or at least most frequently heard) Parsons instrumental because of its use as entrance music by various American sports teams, most notably its current use by the Nebraska Cornhuskers football team, as well as the Chicago Bulls during their 1990s NBA dynasty, as well as during broadcasts of Pittsburgh Steelers games on their flagship station WDVE (which is coincidentally a classic rock station) just before the start of the game itself or the second half. It was also used as the entrance theme for Ricky Steamboat in pro wrestling of the mid 1980′s. The group was notable for using several vocal performers instead of having a single lead vocalist. Lead vocal duties were shared by guest vocalists chosen by their vocal style to complement each song. Woolfson sang lead on many of the group’s hits (including “Time” and “Eye In The Sky”) and the record company pressured Parsons to use him more, but Parsons preferred “real” singers, which Woolfson admitted he was not. In addition to Woolfson, Eric Stewart, Chris Rainbow, Lenny Zakatek, and The Zombies’s Colin Blunstone made regular appearances. Other singers, such as Ambrosia’s David Pack, Vitamin Z’s Geoff Barradale, Marmalade’s Dean Ford and Procol Harum’s Gary Brooker, have recorded only once or twice with the Project. Parsons himself only sang lead on one song (“The Raven”) and can be heard singing backup on another (“To One in Paradise”). Both of those songs appeared on the group’s first record, Tales of Mystery and Imagination, an album containing music based on the stories and poetry of Edgar Allan Poe. Although the vocalists varied, a small number of musicians worked with the Alan Parsons Project regularly. These core musicians contribute to the recognizable style of a Project song in spite of the varied singer lineup. Together with Parsons and Woolfson, the Project originally consisted of the group Pilot, with Ian Bairnson (guitar), David Paton (bass) and Stuart Tosh (drums). Pilot’s Billy Lyall also contributed. From “Pyramid” on, Tosh was replaced by Stuart Elliott of Cockney Rebel. Paton stayed almost until the end. Bairnson, along with Andrew Powell (composer and arranger of orchestral music throughout the life of the Project), and Richard Cottle (synthesizer and saxophone) were integral parts of the Project’s sound. Powell is also notable for having composed a film score in the Project style for Richard Donner’s film Ladyhawke.